The Nature Preserve includes a beautiful walking path for residents around the lake. Filled with native plants that attract local birds and insects, this area has become a joy to many. On Tuesday, October 21st, the application for certification as a Northern Virginia Audubon Society Wildlife Sanctuary was approved. Over the last two years Fairfax resident, CAPT Jim Harkin, has worked to earn the certification needed to become part of this respected organization. The criteria to be certified as an At Home in Northern Virginia Wildlife Sanctuary are as follows: Attract 10 sanctuary species; Embrace the Healthy Yard Pledge to: Reduce pesticide and fertilizer use, conserve and protect water quality, remove invasive exotic plants, plant native species, and support birds and other wildlife. Through the united effort of CAPT Harkin, The Fairfax Residence Association, ARRF-P, and Sunrise Senior living; The Fairfax has met those requirements. 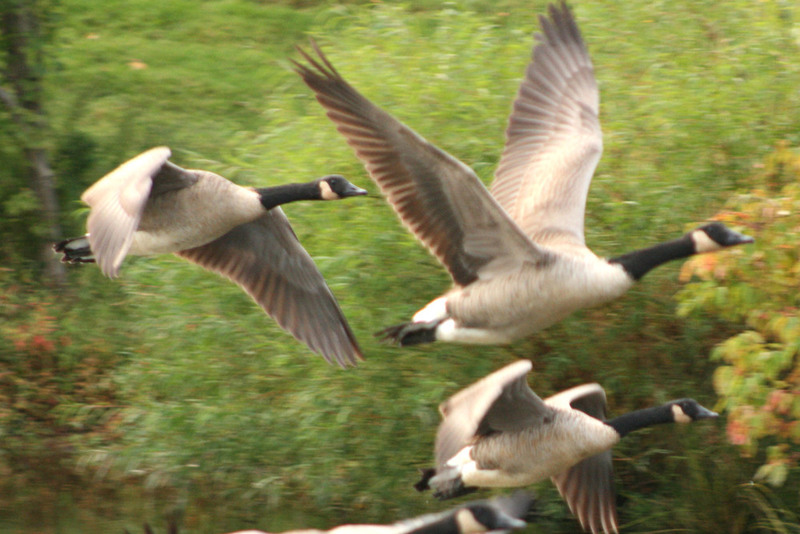 We've identified ten sanctuary species that use our campus. Pesticides and fertilizers are not used on the land between the walking paths and the lake. The lake is pure enough that the fish caught there can be eaten. The vegetation buffer strip has been increased to eleven feet on the Foundation side of the lake and native perennials added to the tree islands. On the Sunrise side of the lake vegetation zones were enlarged and three new bird and butterfly attracting bush and plant islands put in between the walking path and lake to the east of the fishing pier. This was accomplished without hindering the manicured appearance of our campus. We all hope that the residents of the Fairfax enjoy this new feature. 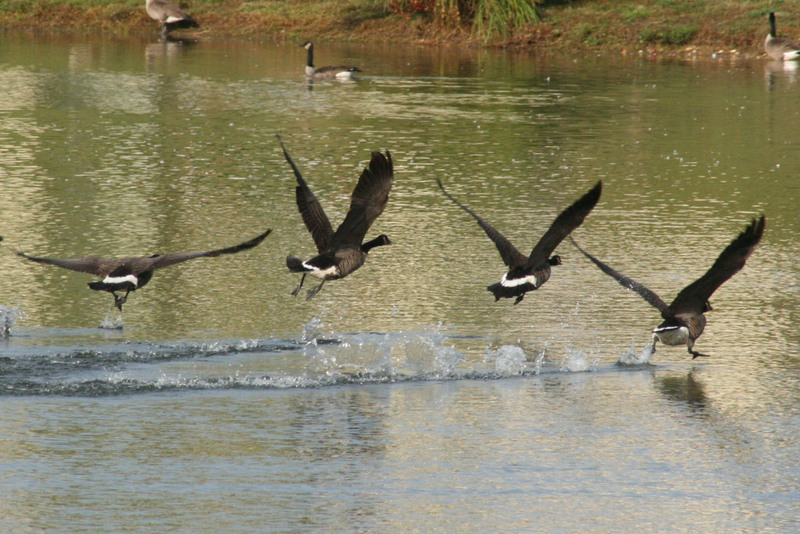 Take a stroll around the lake and try to identify some of the many new birds! 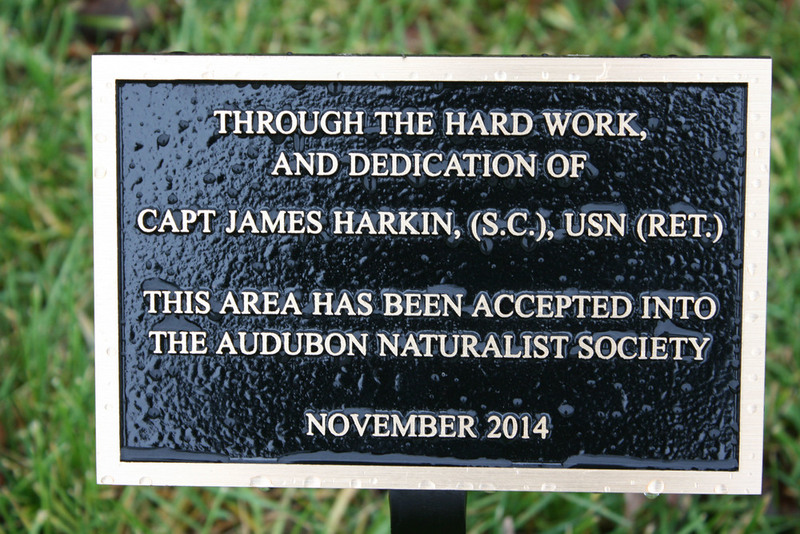 CAPT Harkin is often in that area, and is quite willing to name them and talk about their habits. "On Friday, December 5th 2014 Mr. Carl Kikuchi, President of the Northern Virginia Audubon Society presented LTG Armstrong, President of the Army Retirement Residence Foundation, and Mrs. Carla Shipley, Executive Director of the Fairfax with the Northern Virginia Audubon Society sign signifying that The Fairfax is now a Northern Virginia Audubon Society certified wildlife sanctuary, while Captain Jim Harkin looks on." Photo credit: Foundation member Jim Harkin, Capt. (SC) USN- Ret.